In “Discover: ELS/Milwaukee” students and staff discuss the safe and comfortable atmosphere at the Center and Marquette University. In the classroom, students receive help in preparing research papers, reading and grammar practice and more. Students are also able to engage in conversation clubs where they can practice their English skills with native speakers. 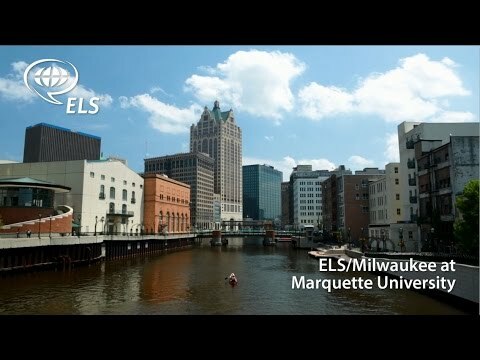 ELS/Milwaukee is on the campus of Marquette University, a large private university ranked among the top in the country. The university is situated on the western shore of Lake Michigan. Students can visit the city, parks, museums and more while at the Center.